Entravision EDGE | From One Crazy Match to One Crazy Night! From One Crazy Match to One Crazy Night! After months of training, Erazno, from “El Show de Erazno y La Chokolata,” entered a ring to wrestle his co-hosts and show producers in a battle for pride and bragging rights in his second annual “La Pelea Más Chafa” (One Cheap Wrestling Fight). Partnered with professional wrestlers, Erazno and team delivered a battle that resembled Wrestlemania. In the end, Erazno was still standing….although barely. And his co-host, El Garbanzo, lost half his hair in an unexpected turn of events that involved an electric shaver. While he’ll need a few months to recuperate from the real falls he withstood, Erazno’s next adventure will be a bit more manageable. 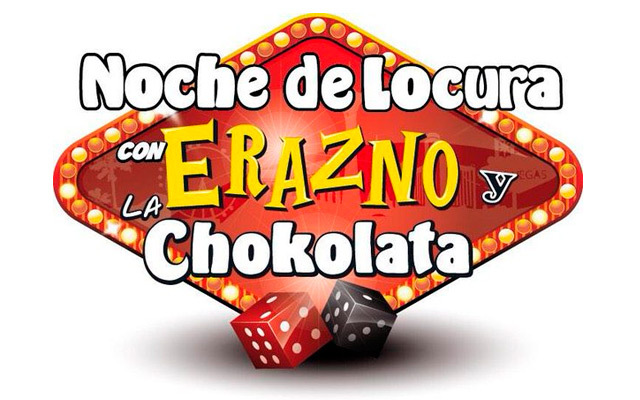 El Show de Erazno y La Chokolata will return to Las Vegas in November to celebrate its third annual concert, “Noche de Locura” (One Crazy Night), where the hottest Mexican Regional artists and bandas perform in celebration of Las Vegas’ proclamation of Erazno Day. It’s a wild night with top band after top band taking the stage. There is no other banda event in Las Vegas that generates as much buzz, especially now that a few artists have been announced, including La Arrolladora Banda el Limón. A nationwide ticket giveaway promotion starts in September. Twenty lucky winners and their guests will win an expense paid trip to Las Vegas to enjoy the concert and all the related festivities. This is an exclusive private event and fans can only win tickets through the station contests or sponsors. The stage is set for November 15th, 2016 at the Orleans Arena. With a proven line-up and fans already calling for tickets, it’s sure to be another crazy night for Erazno and the crew!